Reaching out to influencers and building relationships with them is one of the most effective outbound marketing tactics. When you work with influencers relevant to your niche you are increasing your brand visibility and exposure among your target audiences and consequently driving more quality traffic to your website. But how does this actually happen? Well, it all starts with finding the right influencers, making a list, and then reaching out to them. And this is where an influencer marketing tool, such as GroupHigh, can be of huge help. Grouphigh has a database of over 10 million media outlets/blogs and influencers extracted from the web, Instagram, Twitter and YouTube. Immediately I see some key influencers I know in the content marketing space. Reaching out to influencers is not about finding thousands and sending a generic outreach email. Once you have your final list of influencers, you’ll do your research to learn more about them and then start reaching out with personalized messages. 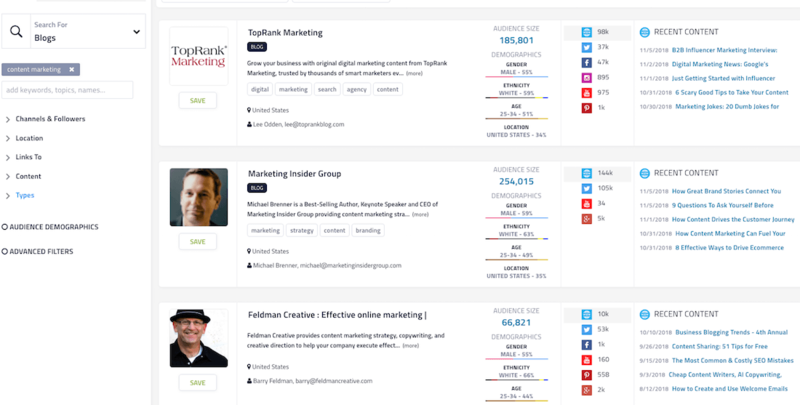 Here’s a detailed article about how you can engage with influencers using GroupHigh. There are so many different ways you can work with influencers – you can ask them to contribute to your content, get them to participate in an influencer roundup post or an expert post, mention them in your content and see if they’d be interested in sharing, etc. This article was shared 8.5K times and has 35K reads! 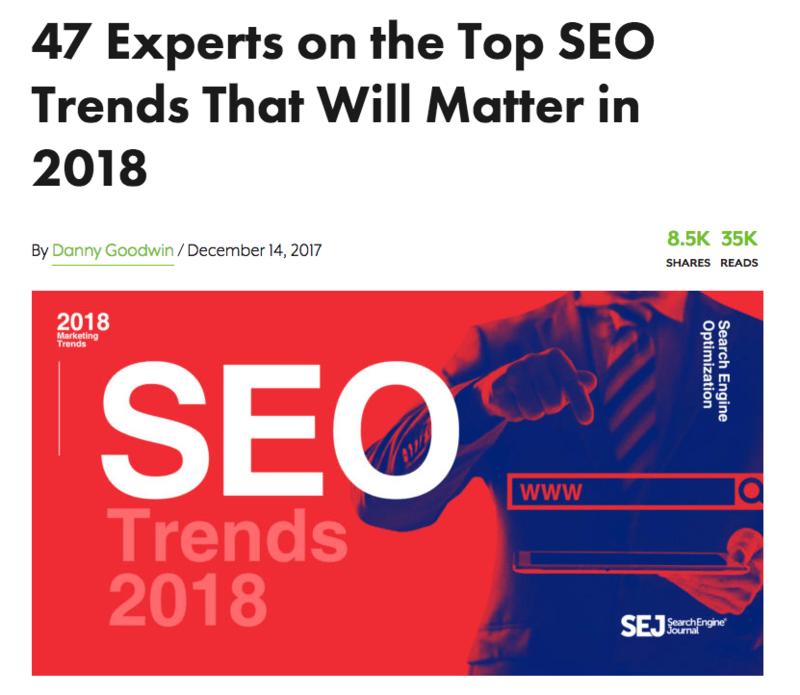 I’d bet that most if not all of the 47 experts shared this piece with their network which caused a ripple effect and contributed to this article’s success. 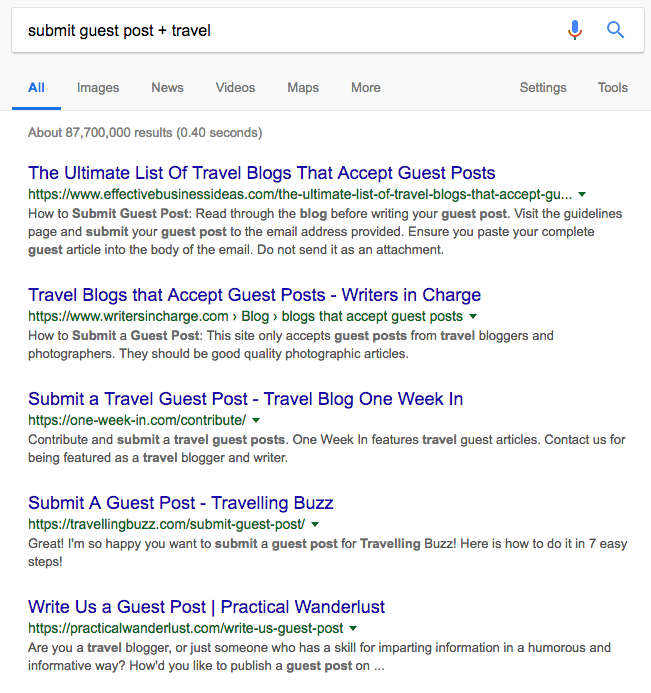 Guest posting on authoritative sites in your industry is a great way of establishing yourself as an expert in the topic you’re writing about. But another equally important benefit of this outbound marketing approach is that it drives traffic back to your website. To start the process, you’ll first need to find the best websites for guest blogging. Naturally, you’ll want to target only authoritative websites that are highly relevant to your industry and the topics that you cover on your website/blog. To find authority sites you can use Grouphigh or similar tools that allow you to filter based on authority. 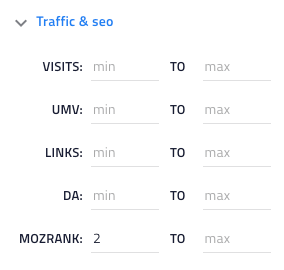 In Grouphigh’s filter, you can look for sites with a certain amount of visitors, links, and authority etc. The ‘DA’ stands for domain authority. This is a number out of 100 which is calculated by a company called Moz and the higher the number the more authority the website has. Now, If you don’t have the budget for tools you can use Google but it take you a long time to find the best results!! That gives you a list of websites that probably accept guest posts but they may not be the exact websites I need, may not have a good authority etc. No one likes having broken links on their website. It’s bad for SEO but it also creates a poor user experience for the people who click on those links. However, broken links can creep into the best of websites simply because services/products shut down, people take down resources and entire sites, and this rarely comes announced. So how can you benefit from broken links on relevant, authority sites from your industry? Well, you can scan them for broken links using a tool like Ahrefs Broken Link Checker, reach out, and offer a similar resource on your site as a replacement. This tactic works well because most people will be interested in fixing broken links on their website and linking to a new, credible resource. Also, if there’s a broken link that you have a perfect replacement for, run it with Ahrefs site explorer to see who else is pointing to this broken page. This is an easy way to find more link prospects! I’m sure that you’ve come across many sites that have pages dedicated solely for linking out to relevant resources. A resource can be anything from a case study to a free tool, checklist, or guide. 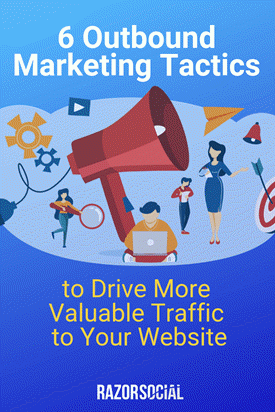 You probably have at least one of these valuable resources created for marketing purposes and now you can use it for building links and driving new traffic. Now, decide on a popular keyword relevant to your domain and the resources you have (or plan to create) and do a search on Google to find resource link opportunities. 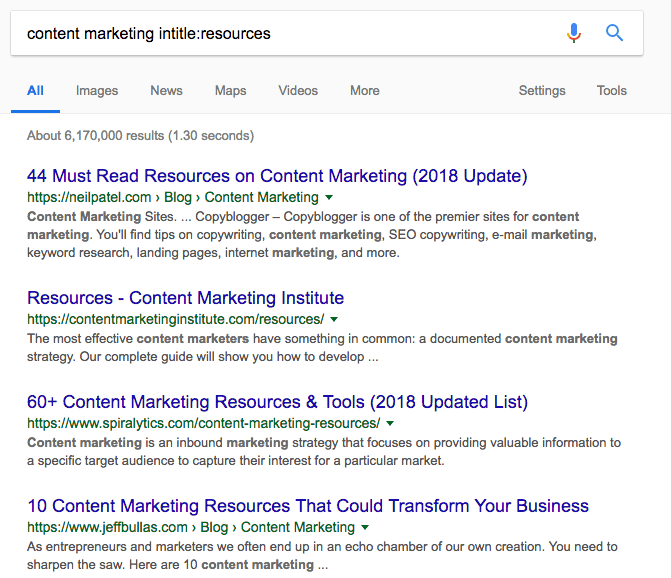 When I Google “content marketing intitle:resources” you see that I get a lot of results from relevant sources. The next step is creating the prospect list and reaching out to them. But before you do, make sure that you have a valuable, useful piece of content that will blend in well with the rest of the resources on that page. Creating your own community within social media platforms is a great way to expand your audience, build engagement and trust, and ultimately drive traffic to your website. You’re probably very passionate about your business. And you are most likely an expert in your niche. There are thousands of people who share your interests, so why not create a community specifically for them? For example, you can create a Facebook group focused on an industry topic or your area of expertise. By interacting with a community of people who share the same interests, engaging actively, and sharing useful content and advice, you can form strong relationships and encourage them to learn more about your business and maybe even become a customer down the road. Mentions on relevant, high authority media sites can truly move the needle for your business. Why? Because you’ll get the exposure and visibility that will bring more traffic and more potential leads to your business. But to get media mentions you need to give them something to write about. A research report provides unique data. Find Journalists that write about similar topics and reach out to them. Give them a good story about your data. The more research you do with the Journalists the better. Most Journalists get irrelevant content so you don’t want to fall into this bracket! There’s a lot of poor content out there. If you are creating a piece of content on your blog create something that is better than any other content out there. Find who links to existing content and reach out to them to tell them about the new content. You will get some good links…..if your content is good enough. You can use a tool such as Grouphigh, SEMRush or Ahrefs to find who is linking to existing content. Use an outreach tool to help you automate the outreach process. Focusing on inbound marketing as the main strategy to drive traffic to a website is commonplace for today’s marketers. Outbound is often considered as an old school, interruption marketing strategy that doesn’t work. However, a modern approach to outbound is everything but ineffective – if planned and executed the right way, outbound marketing tactics like the 6 we discussed above can drive quality traffic to your website and bring new leads to your business.